Cast: Denzel Washington (Robert McCall), Ashton Sanders (Miles Whittaker), Pedro Pascal (Dave York), Orson Bean (Sam Rubinstein), Bill Pullman (Brian Plummer), Melissa Leo (Susan Plummer). Story: Sequel to the 2014 film The Equalizer, which was based on the TV series of the same name. If you have a problem and there is nowhere else to turn, the mysterious and elusive Robert McCall will deliver the vigilante justice you seek. This time, however, McCall’s past cuts especially close to home when thugs kill Susan Plummer — his best friend and former colleague. Now out for revenge, McCall must take on a crew of highly trained assassins who’ll stop at nothing to destroy him. Source: Google. Story: Concerns an idealistic defense attorney with strong morals, who is dedicated to helping those who are socially oppressed. He’s offered a job at a prestigious law firm after the death of his longtime partner, but he then takes on a case that has life-altering repercussions. Source: Screen Rant. Cast: Denzel Washington (Troy), Viola Davis (Rose), Mykelti Williamson (Gabriel), Russell Hornsby (Grimm), Stephen Henderson (Bono), Saniyya Sidney (Raynell) Jovan Adepo (Cory). Story: In Fences, Denzel Washington returns to the director’s chair for the fourth time in his career. It’s based on a play by August Wilson that won a Pulitzer Prize and multiple Tony Awards, revolving around a sanitation worker in Pittsburgh who is haunted by his dream as a young man to become a professional baseball player, at a time before the major leagues were integrated. Washington starred with Viola Davis in a Broadway revival of the play in 2010, which won Tony Awards for both of them. The two are reprising their roles as Troy and Rose in the movie. Joining Washington and Davis in front of the camera are: Mykelti Williamson, Russell Hornsby, Jovan Adepo and Saniyya Sidne. Details: Back in 1987, Wilson’s play was set up at Paramount as a potential vehicle for Eddie Murphy, who was looking for a serious role. He had his eye on a part as the older son of Troy Maxson, currently played by Washington in both a stage version of the play and the movie. By December 1988, the Los Angeles Herald-Examiner, now extinct, had Murphy rewriting his own character, which, according to the paper, he thought “came off too wimpy in the play.” Eventually, he left the writing to Wilson, but the project became tangled in the playwright’s insistence that Fences, which deals with racial barriers and intricate family relations, should have a black director. “Until the industry is ready to hire a black to direct De Niro or Redford, blacks should at least be able to direct their own experience,” he said in January 1990, at a conference sponsored by the California Afro-American Museum. “White directors are not qualified for the job. The job requires someone who shares the specifics of the culture of black Americans,” Wilson added. Actually, Paramount was trying to accommodate. A black executive worked on the film and by 1992 Paramount was in talks with John Singleton, who was then riding high on his success with Boyz N The Hood. Ultimately, Singleton bowed out, as did Murphy. Produce Scott Rudin appears to have gotten involved in about 1997, when he was still a powerhouse producer at Paramount. Eventually, Rudin sent Wilson’s script to Washington, as a potential director. Washington, according to people who have tracked the project through the years, said yes; but he wanted to revive it first on Broadway, which he did. Wilson died in 2005, but his one-man campaign for a black-directed film became something of a movement. 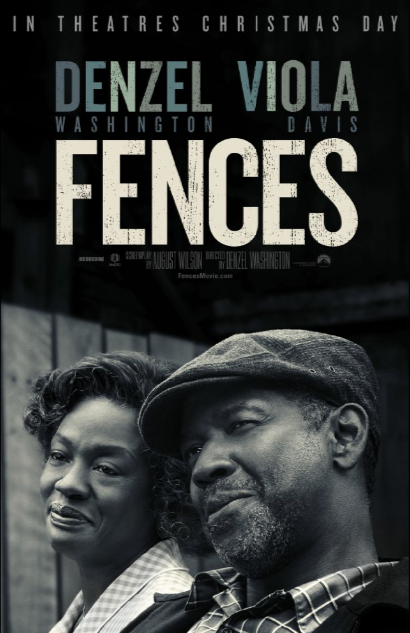 Fences which opens nationwide on Christmas Day, is beginning to look like a serious rival to Nate Parker’s The Birth Of A Nation along with Barry Jenkins’ Moonlight and perhaps others to carry the torch for black cinema. Sources: Shadow and Act; Movies.com; Deadline. Story: A rumored biopic based on the life of jazz great Thelonious Monk. 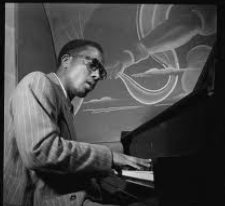 Details: On February 13, 2012, The Playlist reported, in an interview with The Observer, [Denzel] Washington reveals he has ambitions to play jazz legend Thelonious Monk, has a script in place, and says that “I’m talking about it more, so maybe I’m talking myself into it.” Monk, was the pianist and composer behind standards like “Round Midnight” and “Straight No Chaser,” whose inventive, idiosyncratic style helped to make him the second most recorded jazz artist in history. This isn’t the first time that Washington’s been linked to the role; back in 2007, El Cantante director Leon Ichaso told MTV that he wanted Washington or Wesley Snipes to play the musician in a biopic, but it’s unclear whether Ichaso is still involved, or if the actor is considering making this his third directorial effort, following Antwone Fisher and The Great Debaters. 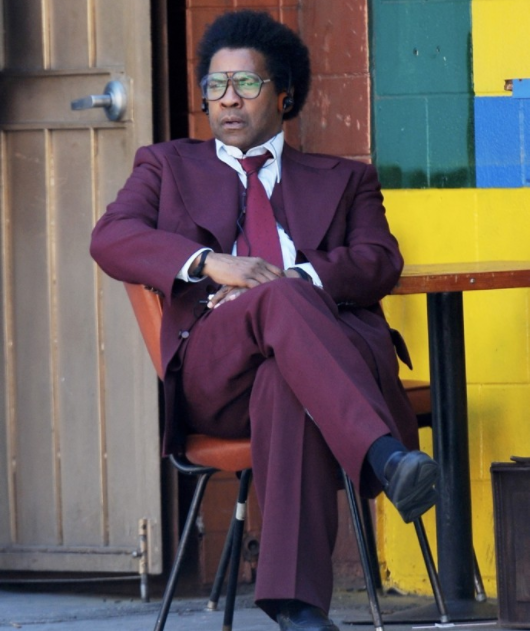 Playlist goes on to say, given Washington’s age, the film might focus on the later stages of Monk’s life when he was plagued with mental health issues. Source: The Playlist. Story: Remake of the 1970s Bill Cosby-Sidney Poitier comedy. The original follows the story of two friends who have their wallets stolen at a nightclub. The next morning, they learn that one of their wallets contained a winning lottery ticket, and together, they set out to find it. Details: According to Variety, in an effort to fast-track its remake of the 1970s Bill Cosby-Sidney Poitier comedy “Uptown Saturday Night,” Warner Bros. has hired “Forgetting Sarah Marshall” helmer Nicholas Stoller to do a rewrite on the script.